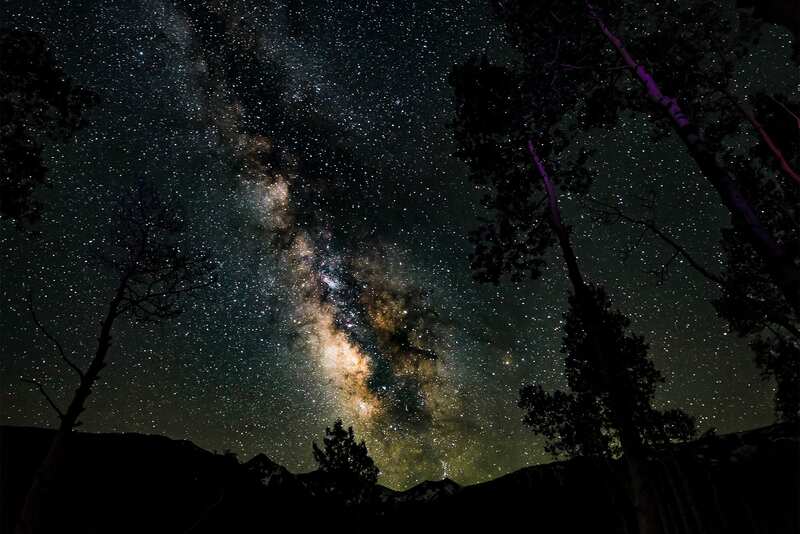 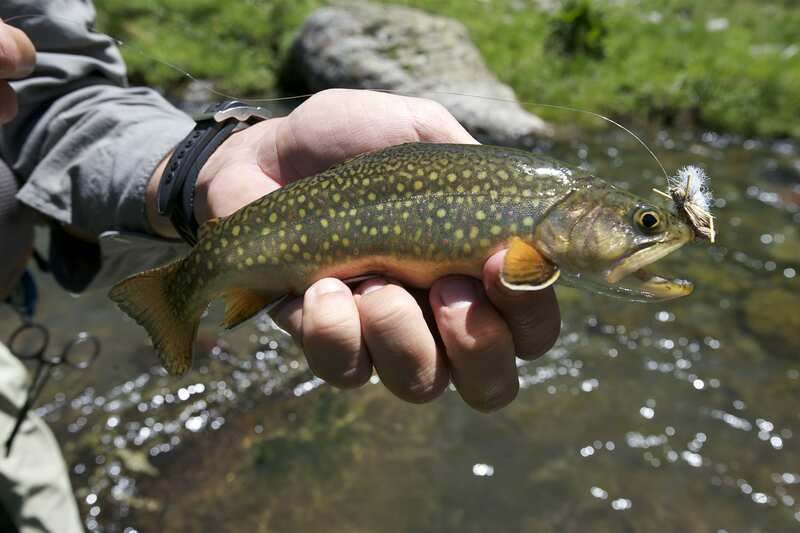 Head into Rocky Mountain National Park for a two day / one night overnight guided excursion to fish for some of the wildest brook trout in Colorado. 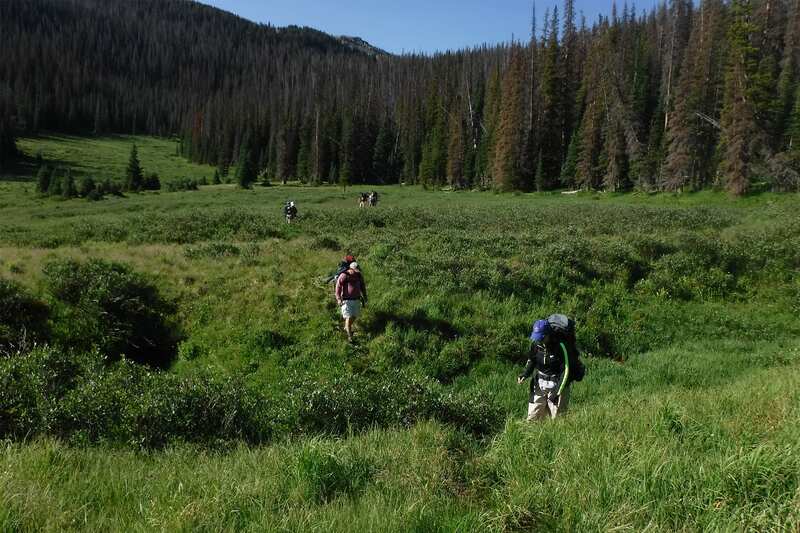 The 6 miles (round trip) easy / moderate hike starts at 9,500 feet above sea level and over the course of the trip you will gain approximately 700 feet in elevation. 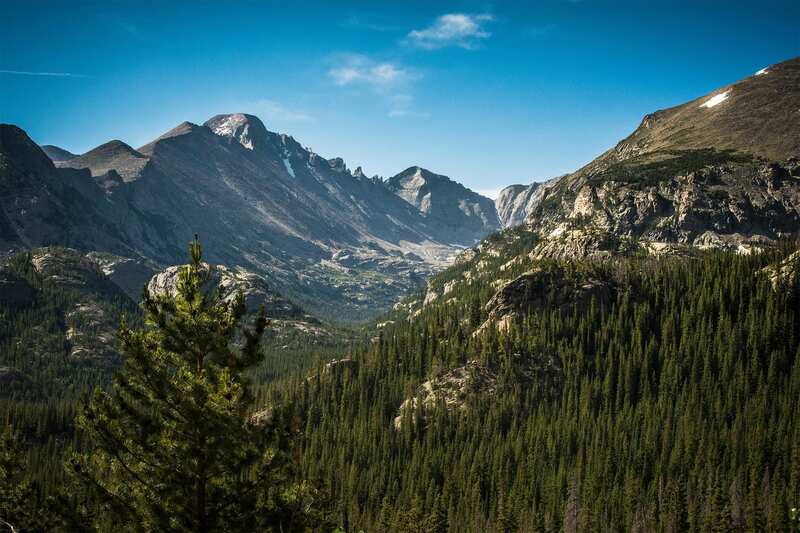 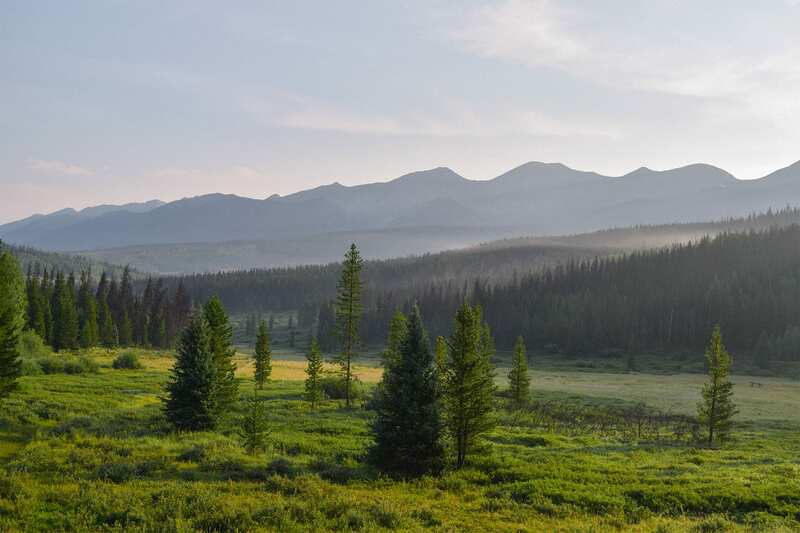 The hike will take you back into one of the most remote valleys of Rocky Mountain National Park, where you are likely to see more wildlife than people. 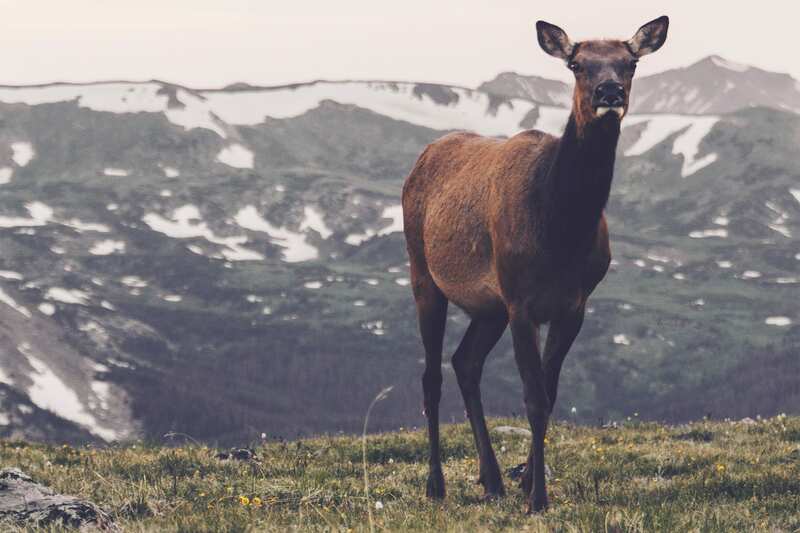 Many of the guests on this trip see elk, deer, and a great chance of spotting multiple moose. 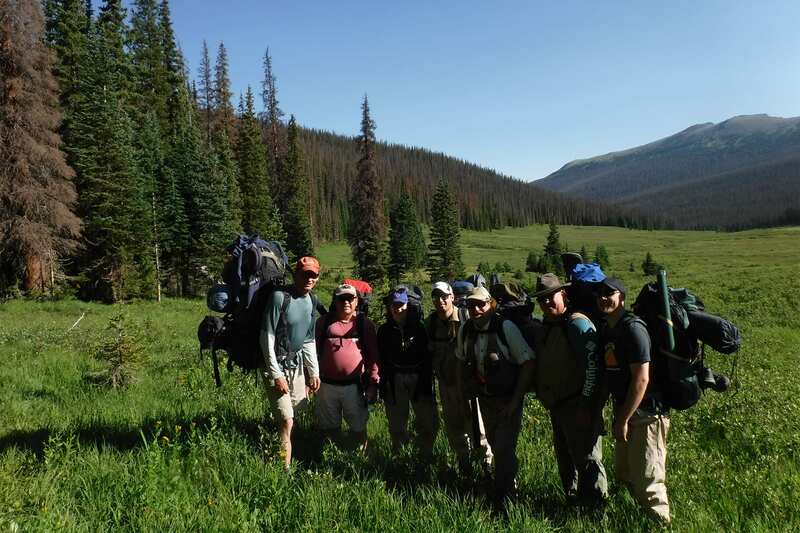 This one night overnight is all inclusive (certified and licensed guide, overnight gear, most food*, and fly fishing equipment). 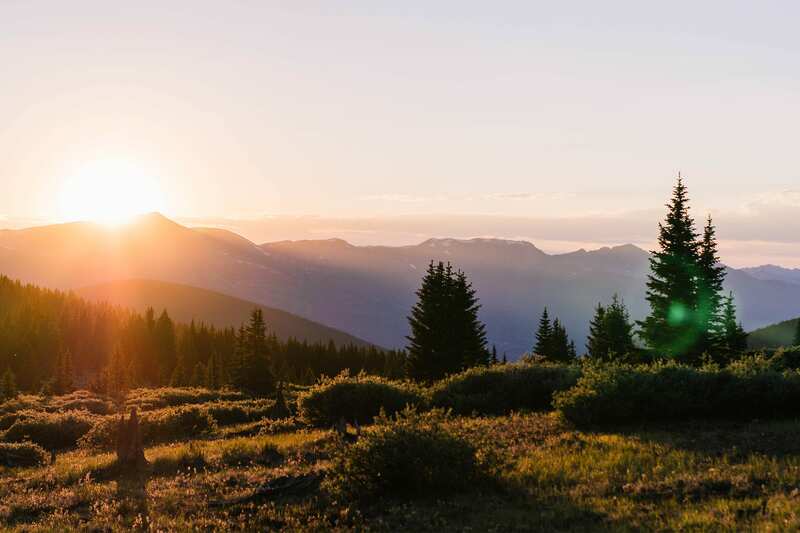 At 6am, after gear check out and general packing (can be arranged the day before) we drive from Estes Park and head up to Chapin Pass Trailhead where we begin the three mile trek back to the overnight site. 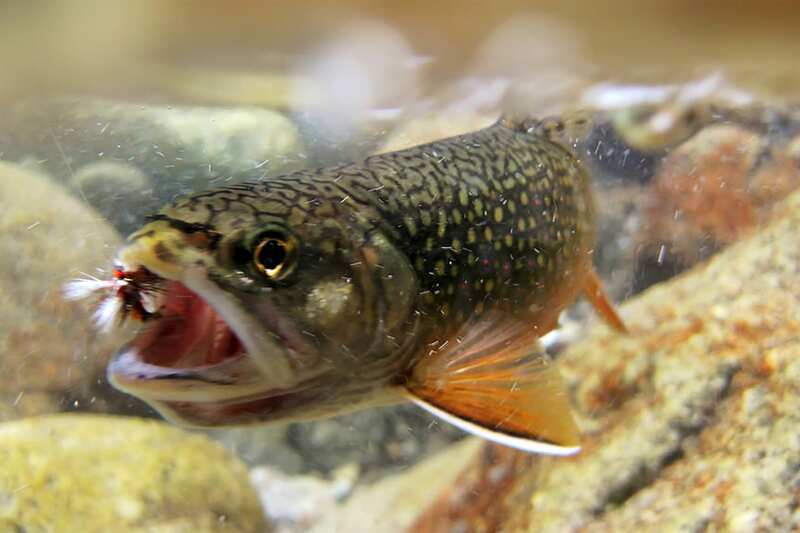 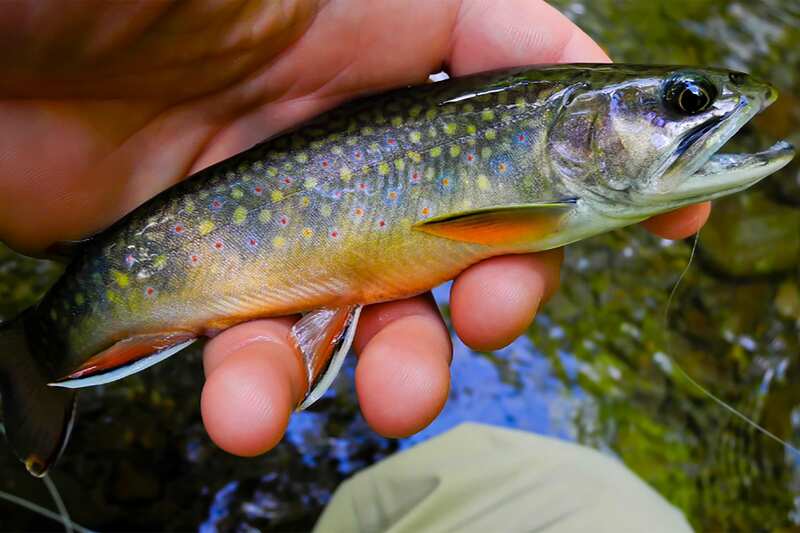 Once there we set up camp and explore two different fishing destinations; Chapin Creek and the Poudre River headwaters, both of which are loaded with wild brook trout. 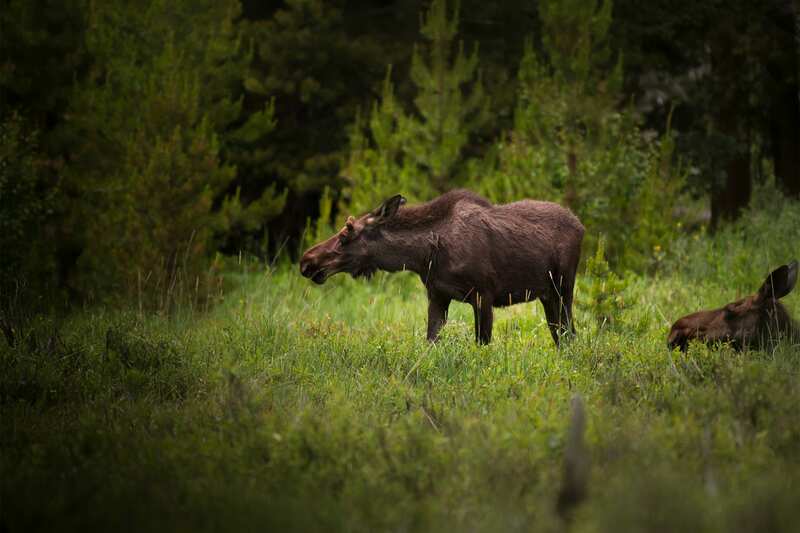 We cap off the day by having a freshly cooked dinner and wildlife viewing searching for herds of elk and moose. 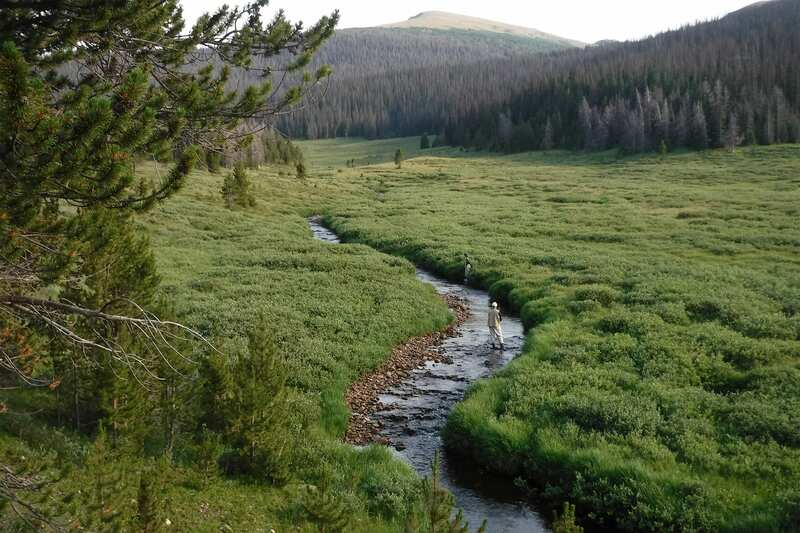 We wake up to a freshly cooked breakfast followed by more fishing and exploration of the lower Poudre River Headwaters valley. 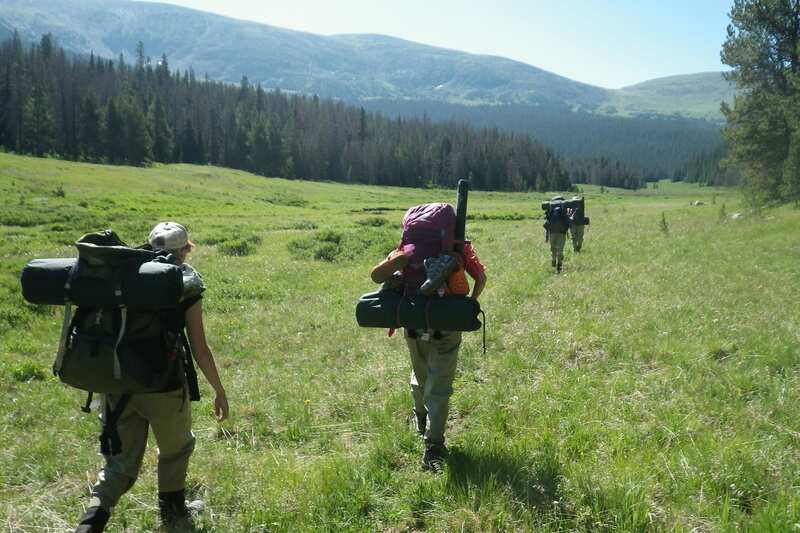 We break for lunch and then begin the hike back out to the trailhead. 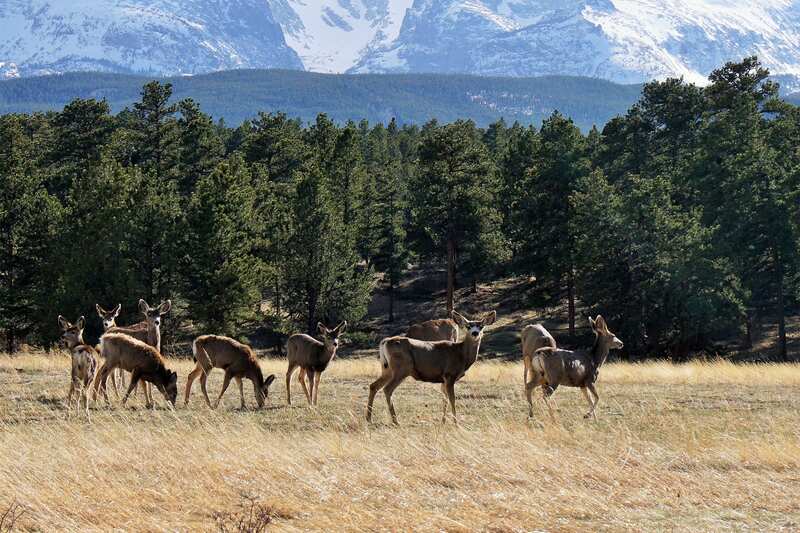 Trip usually arrives back in Estes Park around 5:00pm.